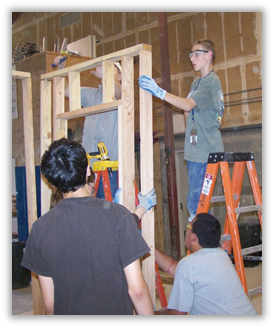 Northwest College of Construction provides high school students with important “Career-Technical Education” (CTE) credits and a vocational pathway in the construction industry. We also provide partnering schools a cost effective resource for delivering a high-value experience with the potential of leading to a high paying career in one of the worlds most dynamic industries. NWCOC is a private, non-profit technical college and career school established in 2005 by the construction industry to deliver education and training programs to the industry’s incumbent and future workers throughout Oregon and Southwest Washington. In other words, NWCOC stays in touch with the educational needs of the construction industry since it is the industry that provides our leadership and core support. NWCOC’s student body is unique in that roughly 95% of our post-secondary students are incumbent construction workers ranging from entry-level apprentices to project managers and estimators. 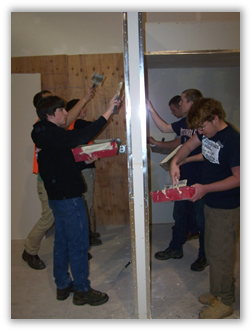 When high school students enter a program developed by NWCOC, they can be assured that the program is relevant to the construction industry and they will receive credentials recognized by the industry. Please call (503) 256-7300 for more details!